It was the iconic Australian car. The first FJ Holden rolled off the assembly line in 1948, but in four years times (so just a year short of 70 years later) General Motors Holden will shut down and the only Holdens will be imported ‘badge engineered’ models. Of course closing down Holden – leaving Toyota as the only car manufacturer in Australia, Ford having already announced their departure – was a huge political scramble with both major parties trying to blame the other. With the possibility of political points to be scored neither party had a moment to think about alternative industries Australia could be involved in, once last century’s industry has gone. Back in 2010 the Deakin Lectures at the Wheeler Centre looked at the exciting possibilities for alternative energy sources, but we’re too busy denying that climate change is even happening to get involved in that field. Let’s leave it to the Germans and the Chinese. 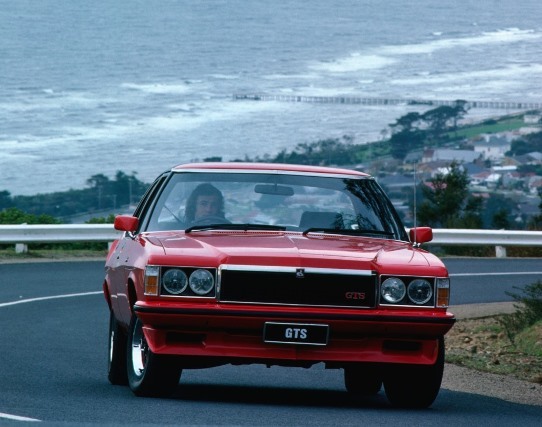 Of course I’ve had lots of Holden encounters over the years, most of them as rent-a-cars although I did own a Holden Camira for a couple of years in the early ‘80s. Now that’s a car Holden would rather forget and my Camira station wagon was a fine example of Holden at its worst. Apart from general unreliability bits of chrome trim fell off it like a Christmas tree shedding pine needles post-new year. 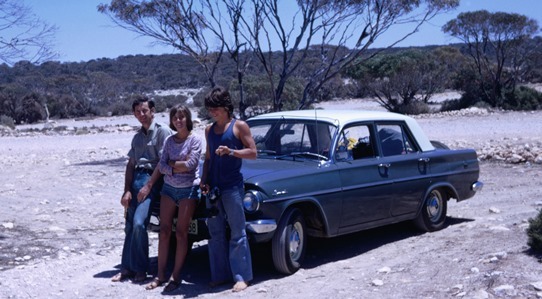 ▲ A week later Maureen and I teamed up with Brian (the car owner, to the left) and Rod (the young English hitch-hiker in the singlet to the right) and Brian and I drove his EH Holden across the Nullarbor from Perth to Waitara, just north of Sydney. So that was my first drive in a Holden. I did work for Holden once. In 1977 for one day, unofficially and unpaid. Adrian van Valen, an Australian car photographer we knew in London, had come home to photograph the new Holdens for adverts and catalogs and Adrian roped me in to be one of the drivers. That’s me at the top of the page, negotiating the hairpin bends up from Port Phillip Bay to Arthur’s Seat.